 MedWAR is short for Medical Wilderness Adventure Race. It is a unique event that combines wilderness medical challenges with the growing sport of adventure racing. The race was also developed as a tool for teaching and testing the knowledge, skills, and techniques of wilderness medicine, and for promoting teamwork and collegiality among competitors. Originating in New Zealand, an adventure race is a little bit like an off-road triathlon combined with a cache-style scavenger hunt and unknown Challenges thrown in. The Challenges can be anything from Fear Factor-type feats of courage, mental puzzles, random tasks, or - in MedWAR, wilderness medical scenarios. Teams of 3-4 people travel by orienteering (using a map and compass) to various Checkpoints. Once arriving at a Checkpoint, they may find a physical leg (bike, canoe, skiing, etc. ), a Challenge, or a Password to collect and directions to the next Checkpoint. Each race is designed a little differently with navigation accuracy, team preparation, team strategy, and teamwork playing a role in the outcome. They come in various lengths from sprint races (4-8 hours) to multi-week events. Google it for more info. Do I need special medical training or knowledge to compete in MedWAR? Nope! There are no training or knowledge requirements. Of course, knowledge will give you an advantage, but so will physical fitness. You will get many penalties if you know very little medicine, but you can learn as you race. You don't need knowledge to volunteer either. We will teach you everything you need to know. Do I need special physical training or knowledge to compete in MedWAR? Nope! There are no training or knowledge requirements. Of course, if your team already knows how to paddle a canoe, cross-country ski, or ride a bike, you will have an advantage. Then again, there's the wilderness medicine knowledge factor. In the end, the winning teams generally will have BOTH medical knowledge and physical abilities, but you can compete regardless. That said, you should be able to move continuously (walking, running, biking, etc.) for 6-10 hours. The speed at which your team travels is up to you. However, this is a real adventure race which requires prolonged physical exertion. If you are at all concerned about your ability, you should talk to your doctor prior to racing. You WILL be physically exhausted (and probably dirty, hungry, and elated) at the end of the race. Are you going to start a race in _____? It would be a great location. We are constantly looking for groups of dedicated people who want to start expansion races, but we won't lie - it's a lot of work to get off the ground. We will help you, but it takes a good number of volunteers and planning from people in the area. If you are seriously interested in starting an expansion race, please apply here. What should I put in my medical kit? Well, that depends... We really can't tell you what to pack any more than you can know what you might need on any other wilderness expedition. There's no way to predict that someone will break their leg or have a heart attack ahead of time. Then again, you probably would not pack an avalanche probe on a spelunking expedition, but MedWAR is unique in that you must be prepared for anything. Start with the basics. There are many good resources for typical medical kits. Check out one of the many publications on the topic. In the end, it doesn't do you any good to lug around equipment you don't know how to use or can improvise quickly from your surroundings. On the other hand, if you have to build something that could take time. It all depends on the strategy your team chooses. Do we actually perform the medical tasks? In most cases, yes. The goal is simulated reality. For example, if you say, "Tom broke his leg. We would splint it and evacuate him." Then your must physically get the splinting supplies out of your med kit and splint the leg. If you do not have the supplies or know how to place one, you cannot use that as part of your management. If you want to evacuate him, then you must physically carry him off. In another scenario, we may provide a prop such as a CPR dummy or we would ask you to place your hands in the correct position and count correctly to simulate CPR. It will make more sense in the situation. We won't ask you to actually amputate, tear off clothing, administer morphine, induce vomiting, etc. on a real person even if that is what you would actually do in the situation. Do we need to bring real medications? This is the one big exception to trying to simulate reality as much as possible. You do not need to bring real meds. If you want to bring insulin with you in your kit, you can just label a syringe "INSULIN" with a pen. Same thing with pills. Just label a small tube/bottle/etc with the name of the medication. For fairness, you have to have these pre-labeled before the race begins. You can't just bring a bunch of empty syringes and a pen. Be selective. You probably would not normally take a lot of meds into the woods. You won't need many for our races. Can you recommend a good textbook or resource for Wilderness Medicine? The Bible of Wilderness Medicine is probably Wilderness Medicine edited by Paul Auerbach which even describes how to cric a llama, but it is a little unwieldy to carry in a race. Our favorite packable technical guide is Paul Auerbach's Field Guide to Wilderness Medicine, but there are many others. Snow Sense: A Guide to Evaluating Snow Avalanche Hazard by Jill A. Fredston and Doug Fesler has good information unique to winter conditions. Outward Bound also has a good practical guide of acute wilderness assessment without the difficult medical jargon. Are there water or food stations in the race? Nope! This is an adventure race with the goal of simulated reality. Therefore, we won’t have mile markers, aid stations, or cheering people handing out Powerade like your standard 5K. During the race, you will NOT be provided with any water or food. Any assistance received from race staff or spectators will result in disqualification. You can, however, bring as much food and water of your own as you wish (and we strongly suggest it). At the conclusion of the race, food and beverages WILL be provided, but only AFTER you finish! What if it rains on Race Day? Will the race be rescheduled? Probably not. Unless the race staff decides that racing would be unsafe (lightning, flash flooding, tornado, plague of locusts, etc.) not just uncomfortable (a little drizzle or snow), the race will take place rain or shine. My team registered for a race, and now we can't make it. Can we get a refund? Depending on the amount of time before the race, you may be eligible for a partial refund. Unless otherwise stated, you can receive a 90% refund until 1 month before Race Day. You can get 50% refunded until 2 weeks prior to Race Day. If you cancel within 2 weeks, in most cases the race fee becomes un-refundable. We have already paid for our expenses counting your team. You may substitute teammates up until you check in on Race Day. If any of this applies to you, please contact us. We can't find a full team? Can we race with a person short? We write the scenarios and challenges for a full team. You can't race without a full team. It's not fair. We suggest you post your need on the forum. Several teams have been formed this way. If you are only missing one person, you should consider coming to the race start anyway, and let the Race Directors know. You can sometimes pick up a racer at the last minute. I want to race, but I need a team. Any suggestions? We suggest you post your need on the forum and hope to pick up a team. It has worked several times for other teams. If that doesn't work, you should consider coming to the race start anyway, and let the Race Directors know. You can sometimes pick up a team at the last minute. If you don't get to race, consider volunteering for the day. We can always use more. Can I come watch the race? While not usually a spectator sport, you are welcome to come watch. However, most of the race takes place in the middle of the wilderness and is not generally accessible for spectators. You may watch the start and finish, and any scenarios that are accessible nearby, however there will likely be long parts of the day when you will not see the racers. One way to see the racers more would be to volunteer, however in this case you would be stationed at a particular point and not following a specific team throughout the race. If you chose to come watch the race, please bring snacks and whatever you may need for the day as most of our races do not have anything available to purchase nearby.